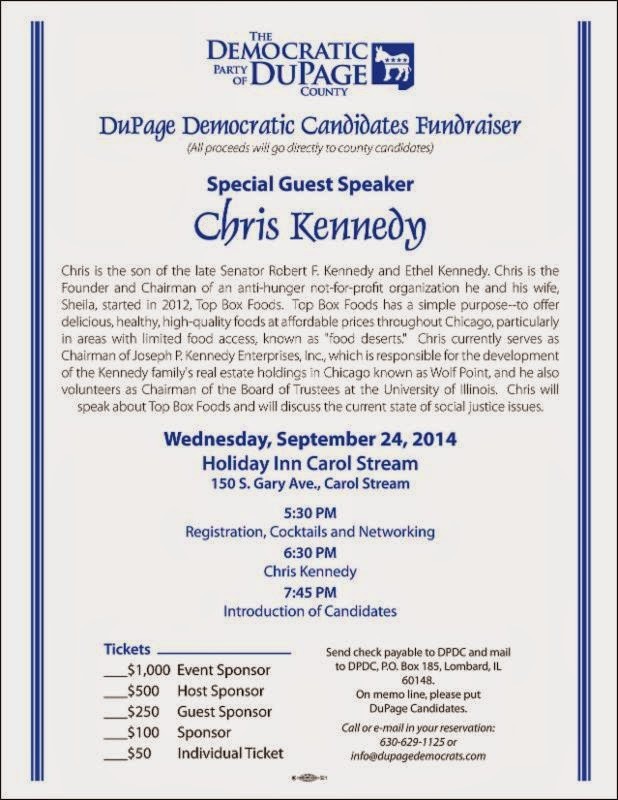 Chris Kennedy U of I Chairman Headlined DuPage Democrats Fundraiser? We're surprised to see University of Illinois Board of Trustees Chairman Chris Kennedy 'headlined' a fundraiser for the DuPage Democrats last week. Has he done other fundraisers for folks? We haven't seen him touted as a draw for fundraising, but it seems natural for Illinois Democrats to try to recruit him to 'front' their events.